Bath has been welcoming visitors for over 2000 years. We are delighted to announce that our programme of rejuvenation is now complete. The five star Macdonald Bath Spa Hotel, with Butler led service, private suites, fine dining and a luxurious new Spa, offers Guests a combination of contemporary style with timeless elegance and traditional values. Set in beautiful gardens, Macdonald Bath Spa Hotel features a luxury spa and award-winning restaurant. The hotel is a 10-minute walk from Bath Abbey. With fountains, ponds and a terrace, Bath Spa Macdonald Hotel also has a sumptuous spa, featuring a swimming pool, outdoor hot tub, candlelit treatment rooms and fitness centre. 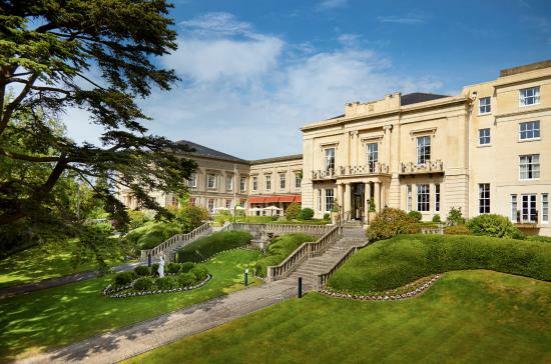 The Bath Spa Hotel creates a magnificent first impression with its landscaped gardens and long sweeping drive up to a classical colonnaded frontage. Once inside, the ambience of timeless quality is continued with décor and furnishings perfectly attuned to the building's original use as a private house. State of the art spa with thermal suite including rock sauna, ice room, infared room, hydro pool, 5 treatment rooms, indoor pool, gym.The Macdonald Bath Spa Hotel's bedrooms are superbly appointed, and many have wonderful views over the city. Here you can relax in surroundings steeped in history.